At the turn of the twentieth century, representations of "white collar" Americans-the "middle" social strata H. L. Mencken ridiculed as boobus Americanus-took on an ever-greater prominence within American literature and popular culture. Magazines like the Saturday Evening Post idolized businessmen and "average Americans," while books like Winesburg, Ohio and Babbitt produced new portraits of "middle America." In White Collar Fictions, Christopher P. Wilson explores how these white collar representations became part and parcel of a new social class coming to terms with its own power, authority, and contradictions. By investigating the material experience and social vocabularies within white collar life itself, Wilson uncovers the ways in which writers helped create a new cultural vocabulary-"Babbittry," the "little people," the "Average American"-that served to redefine power, authority, and commonality in American society. 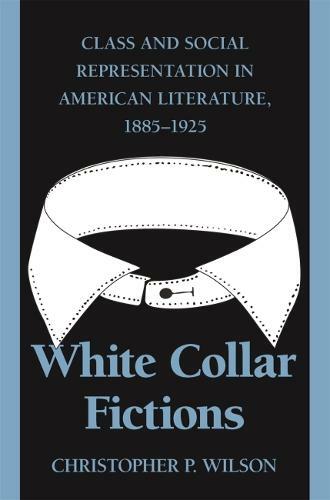 An innovative study that integrates literary analysis with social history, White Collar Fictions reexamines the life and work of Sherwood Anderson, Sinclair Lewis, and such nearly forgotten authors as O. Henry, Edna Ferber, Robert Grant, and Elmer Rice.